A recognition impact statement is preferably a video recorded (but could be written or audio-recorded) account of the impact that the presence or absence of employee recognition has had on employees personally, emotionally, physically, and on their motivation and engagement. A candid or prepared account of the personal, emotional, physical, and motivational impact stemming from employee recognition they’ve received, or as a result of a lack of recognition received. These videos can be used to provide insight to leaders and managers on the benefits of employee recognition when it happens well or reveal the damage that can occur from a lack of recognition. They can be used to augment employee engagement surveys and provide a more powerful way to communicate how employees feel about recognition in your organization. They provide an indication of commendation or condemnation of leaders, managers, and peers, with respect to existing recognition practices. They will describe the personal outcomes they personally have seen in themselves and others from the occurrence or absence of employee recognition. It is important to have the following information written out to guide potential employees as they prepare to possibly share their recognition experiences in a Recognition Impact Statement. Recognition experience example –Describe in detail the recognition experience that happened to them. Indicate the type of recognition whether it was a personal, face-to-face recognition encounter, a digital, email, or online recognition communication, or a formal award celebration. Personal reflections on the recognition – Share their candid feedback as to what they experienced as a result of the recognition received. What was their first reaction? Did this come as a surprise to them? Emotional reaction to the recognition – Explain, as best as possible, the emotions and feelings they felt after they were recognized. Physical response to the recognition – Think about any physical response they observed in themselves following the recognition. They may have been surprised, embarrassed, excited, happy, with all the accompanying physical manifestations associated with those feelings. Motivational outcome from the recognition – Consider how the recognition made them feel towards the recognition giver, the work behaviors or actions they were recognized for, and their ongoing attitudes towards the company. Be mindful that not all employees will have a positive story to share. Guide employees who have not received recognition well to consider the following when video recording their Recognition Impact Statement. Lack of recognition experiences – There is always the other side of the coin where employees can describe the work they do, the contributions they make, and then to find they are not acknowledged, praised, or recognized for their effort and work. Personal perspectives on not being recognized – It’s important to capture the overall attitudes, feelings, and what it is like for these employees to not be valued for their contributions. Emotional reactions to lack of recognition – Capture as much as possible the emotional stress, the lack of psychological health and safety, and the impact of little or no recognition, on attitudes and performance. Physical response to no recognition – Where appropriate, describe the effects of stress, poor physical health, emotional well-being, lack of productivity and performance, and questioning of leaving the company for a better job because of no recognition. Motivational effects of not feeling appreciated – Reflect on the low engagement and lack of discretionary effort given on the job. Describe possible absenteeism and taking of mental health days in order to cope. Draft a video release form to protect and cover the rights of the individual being video recorded and for granting appropriate usage of the video recording to the company. 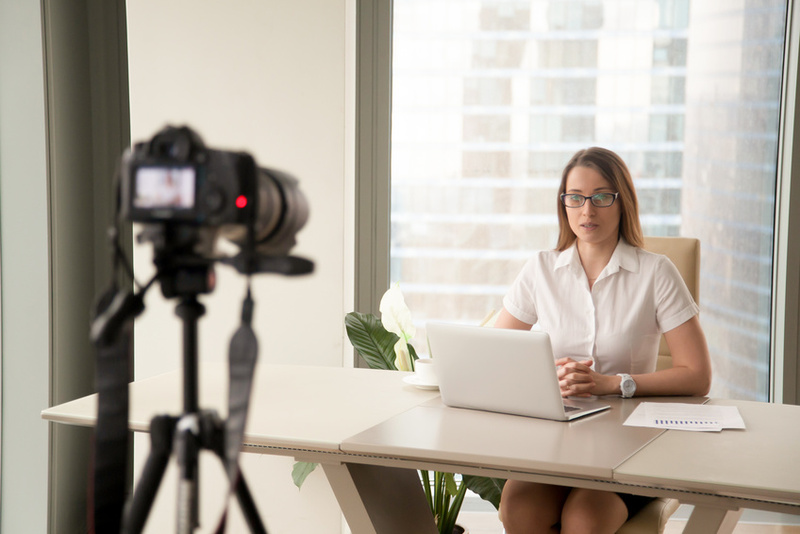 From a legal perspective, the company must ensure there is a waiver and agreement document that employees will not be penalized or treated differently for making these video recordings. Agreements must spell out exactly how the video recordings will be used. That the employee has been informed that video footage, their name, likeness, image, and voice, is being recorded and made part of the recording. Granting without limitation the right to edit, mix, duplicate, use or re-use the final product in whole or in parts. The producer or designate is given right to broadcast, exhibit, or otherwise use the video recording for the explicit purpose of educating leaders and employees on the benefits and need for employee recognition. There will be no selling of the recording in any form without explicit prior permission granted by the employee. Using video recorded Recognition Impact Statements provides a powerful, and sometimes emotional, measure of how well recognition is happening in your organization. It shows leaders the truth beyond the non-emotional facts and figures conveyed from the latest employee engagement survey. Consider using Recognition Impact Statements for your next presentation before your leadership team. Draw upon them to show employees you’re really listening to them beyond just percentages from surveys. Recognition is an emotional experience – either positively or negatively. Video recording allows you to capture this emotion from your employees. Recognition Reflection: How are you drawing upon the powerful capabilities of video to improve employee recognition in your company?